Vibra Screw offers an easy-to-clean version of its Accufeed volumetric feeder that incorporates a self-draining trough, so the unit can be washed in place. A built-in drain with external connection handles wash fluid disposal. Combined with the feeders USDA- and FDA-approved materials of construction, as well as quick disassembly features, it is ideal for food processors or anywhere that frequent, thorough cleaning is required. 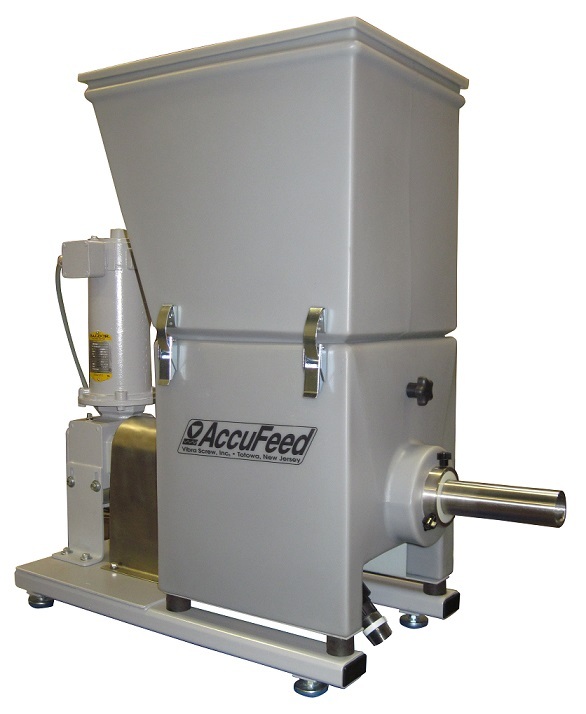 The Accufeed uses molded composite components and a modular design to reduce cost and delivery time. Available in capacities up to 600 cu ft/hr, the patented feeder employs controlled vibration to achieve accuracies of +/-1-2%. It may also be scale mounted for batch or continuous weigh feeding.